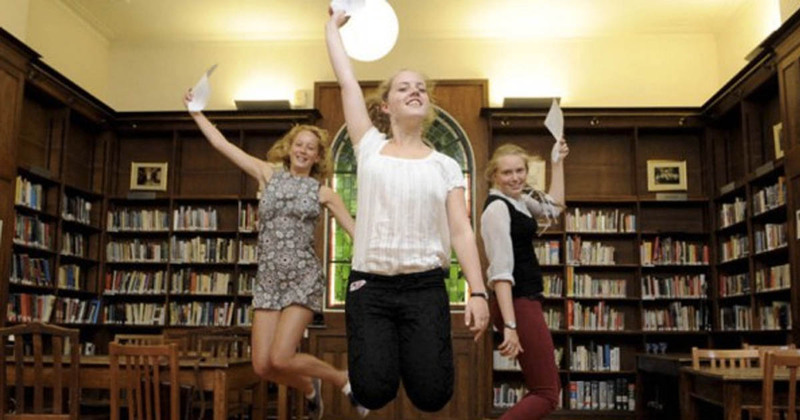 Thirsty sixth formers will face their toughest summer as they fight for a place at top unis. Vice chancellors have warned 18-year-olds they face competition after applications for the best Russell Group unis shot up. The number of potential freshers gunning for one of the top 10 unis in the country rose by seven per cent. In addition, students who fail by just one grade are likely to be turned down. Last year there were still places at elite unis, but the high demand for places this year unis means less students will be accepted through clearing. The competition for the best courses also means middle ground unis fighting it out to win you over. Some are offering discounted fees, gym memberships and free iPads. Cardiff are offering £3,000 scholarships to anyone with three A grades, while Newcastle are appealing for anyone with ABB to come through clearing. Former polys are trying to woo students too. Middlesex, Teeside and Bedfordshire are all offering discounted fees. The news comes as thousands across the country eagerly await their results – due in less than two weeks. It was also revealed state educated teens stand a better chance of landing top places – even if they don’t have the same grades. Sixth formers from state education are getting on to Russell Group courses sometimes with two grades lower than the entry requirements, according to an audit by the Daily Mail. Only 17 per cent of Russell Group students from private school had Bs or Cs at A level, which rose to one in four for state school students.